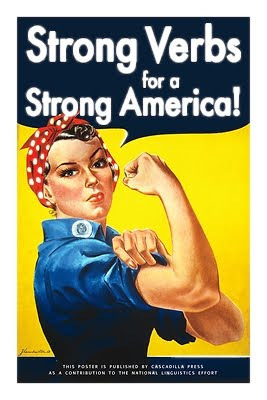 Strong Verbs for a Strong America! Join the National Linguistics Effort with this poster, based on a design from WWII. It's available in our shop on Cafepress. Other posters in our vintage series include Loose Lips Make Bilabial Trills, Trust Your Native Speaker Judgment! and Linguists Need Data! This volume contains 30 papers and posters selected from the 37 presented at the 30th West Coast Conference on Formal Linguistics, including the plenary by Christopher Potts. The conference took place from April 13-15, 2012 at the University of California, Santa Cruz. The entire proceedings is now available for free on our web site, and the printed edition can be ordered through our order form. Our popular Magnetic Phonetics set has always included tiles with scores printed on them, for playing IPA Crossword. Now, for the first time, we’ve developed a game board to play it on! The squares are the right size for the Magnetic Phonetics tiles, and there are many more squares than on a standard Scrabble board (with lots of squares for double and triple scores). 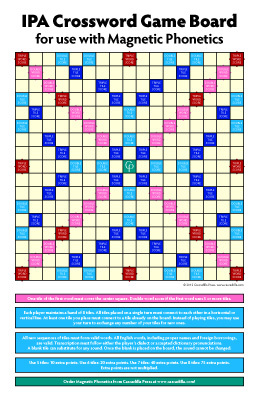 You can download a free PDF of the game board to print on 11"x17" paper. We like to get ours printed in color on 11"x17" poster stock at our local print shop, but you can also order a copy from our Cafepress shop. If you don’t yet own a copy of Magnetic Phonetics and want to get in on the fun, it’s available for order at cascadilla.com. This volume contains 27 papers selected from among those presented at the 42nd Annual Conference on African Linguistics, which took place from June 10-12, 2011 at the University of Maryland. The conference was organized around the theme "African Languages in Context," and the papers are grouped into sections on phonetics and phonology, phonology and syntax, syntax, sociolinguistics, and computational linguistics. The entire proceedings is now available for free on our web site, and the printed edition can be ordered through our order form. 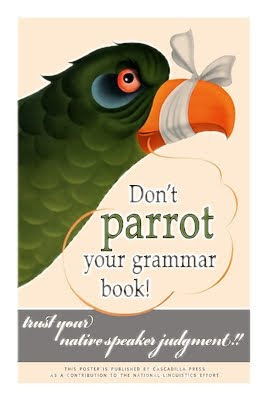 This poster is available in our shop on Cafepress. Other posters in our vintage series include Loose Lips Make Bilabial Trills, Strong Verbs for a Strong America! and Linguists Need Data!